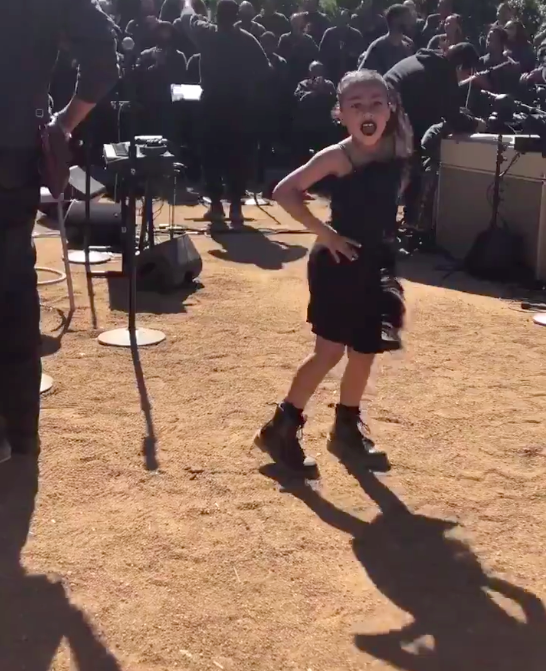 "There is something really sad to me about seeing photos of five-year-old North wearing a slip dress and black lipstick to a church service." This is Kim Kardashian and North West, the former a reality star and business mogul, the latter an icon of our times. Over the past few months, however, Kim has been heavily criticised for decisions she's made relating to North's clothes, hair, and love for makeup. Back in June last year, Kim was criticised for allowing North to have her hair straightened, with some people also accusing her of applying extensions. At the time, Kim shut the criticism down by saying that North is allowed to straighten her hair on one day a year — her birthday. Then, in September, Kim was dragged for allowing North to go out wearing makeup. After she shared some photos of North wearing lipstick and eyeshadow, Kim posted a message on Instagram reading: "Relax mom shamers, it's coming off in a few mins. I needed a bribe to get her out of the door...you feel me?!?" And, in December Kim was targeted again after sharing photos of North wearing bright red lipstick at the family's annual Christmas Eve party. Speaking after that incident, Kim said that North loved makeup, and she viewed it as a form of self-expression. Speaking to Refinery29, Kim said: "I already know North is into makeup for sure. I don't think she should wear lashes or too dark of a lipstick. It is a form of expression, so I want her to express herself, but I want her to be appropriate, too." Well, you've probably guessed where I'm going with this. 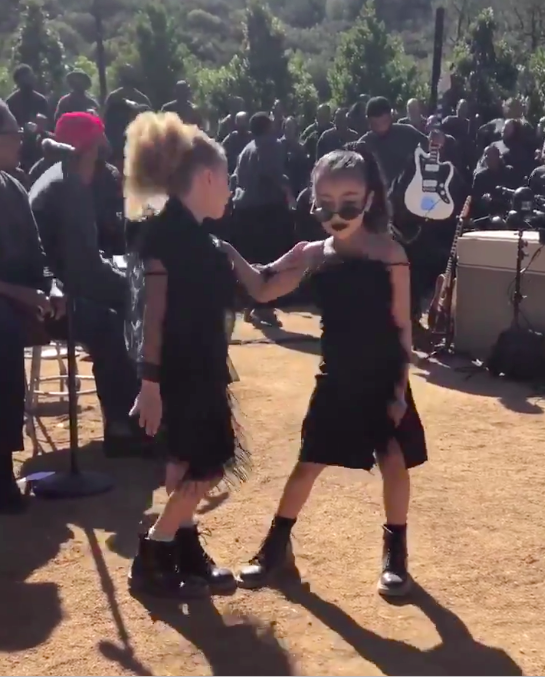 Yesterday, Kim shared a couple of videos of North wearing a black slip dress and sunglasses, and dancing at a church service. However, along with the outfit, North was wearing dark lipstick. And it didn't take long before people began calling Kim out in comments beneath the video. Many criticised her for allowing North to wear lipstick. Some also took issue with the outfit North was wearing. And a few even accused Kim of sexualising North. However, others defended Kim and said that allowing North to wear makeup was her choice alone. And that the whole thing really wasn't a big deal. Kim is yet to reply, but tbh it's only a matter of time until she does. I'll keep you updated. BuzzFeed News has contacted a spokesperson for Kim for comment.